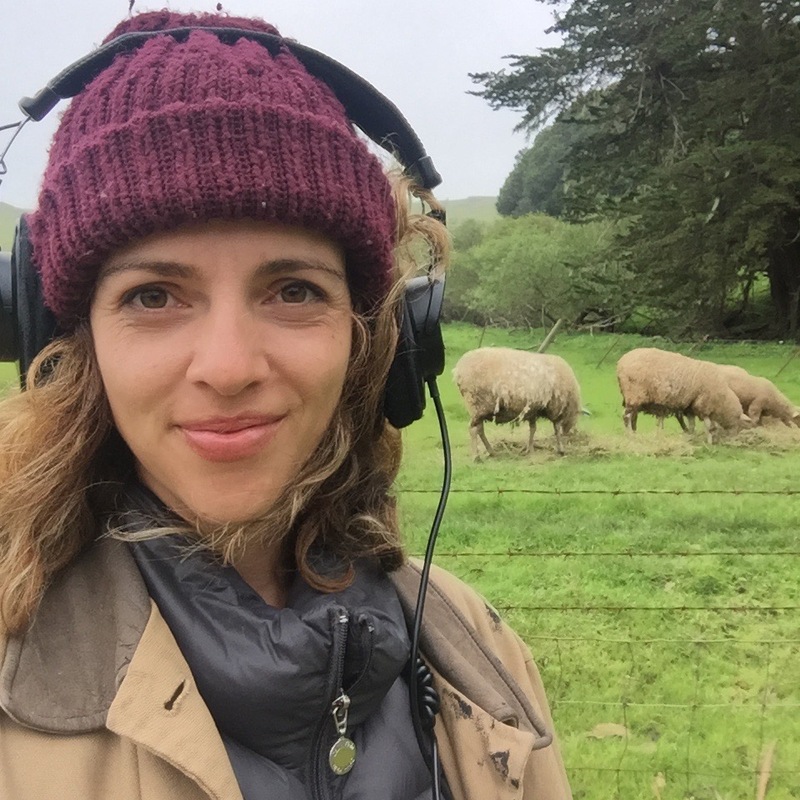 Marina Michelson’s short film Biophilia, co-financed by Pipeline Media Group (Script Pipeline), won Best Screenplay at the 2018 Brooklyn Film Festival and was screened at several other fests nationwide. A 4-tool talent–writer, director, producer, and actress—Marina’s first short, Eureka!, premiered in 2012. Both Biophilia and your first short film Eureka! feel very much like short stories come to life. Almost treading in Flannery O’Connor territory. A short film is basically a short story, so that sounds obvious, but not every short is equitable to the pacing and vibe of literature. Something about your interplay between the characters, the setting. And again, the themes organically intertwined, meant to present instead of preach. What (or who) influenced your style of filmmaking and storytelling? Wow, what a compliment! I love Flannery O’Connor. I first read her short stories in middle school along with some of William Faulkner’s and was uniquely drawn to their style: slow and grotesque, violent yet darkly beautiful. I later learned that I must have a thing for the Southern Gothic because I also adore films like Debra Granik’s Winter’s Bone, and David Gordon Green’s Mud, which totally fit the bill. But yes, short stories are an excellent entree into exploring narrative perspective. You get to step into a world rendered so richly in so little time. I love the way short stories can zero in on the everyday moments of life. It’s those little seemingly mundane moments that have the power to alter the course of a life, however slightly. Sure, a short story is not going to give you the advanced plotting of an international thriller, but it’s a valuable little space to play with character and theme and explore elements of our human experience. I grew up reading J.D. Salinger’s Nine Stories and Raymond Carver, and of course watching Robert Altman’s Short Cuts. Right now I’m reading Carmen Machado’s collection of short stories about the female body, which I think is being adapted into a television show. As to influences, it’s hard to say. Ultimately, my current body of work is a tiny speck of what I hope it will one day be, so it’s hard to narrow down a short list of influences, but I’ll say that I grew up on a steady diet of European cinema thanks to my enthusiastically film-loving parents, mixed with big Hollywood studio pictures that I consumed voraciously with my friends at the mall throughout the 90s and early 2000s. I learned to love the implicit quality inherent in European films, wherein many narrative elements are implied but not directly stated, putting faith in the audience’s intelligence and keen sense of perception. And yet, I really wanted to tell stories rooted in the American experience because that was the film language I saw resonating with my peers. I think you can really see the confluence of that media diet reflected in my style of storytelling. To name check a few filmmakers, I deeply admire the films of Sofia Coppola, David Gordon Green, Kelly Reichardt, Terence Malick, and Andrea Arnold, to name a few. And I would be foolish to not call out Amy Heckerling, because Clueless was a formative film for me, and while you maybe can’t draw a line from Clueless to Biophilia, Amy Heckerling was the first female writer/director who’s name I knew and stitched into my memory like she was a god. With Biophilia, there’s such a clear sense of tone—and with it (at least in one viewer’s eyes) a lot of subtleties that spotlight the broader themes. For instance: “there’s a dead ewe outside,” and the homonym’s implications in the context of the character. Will assume nothing is done by accident, but. . . how much conscious planning goes into “writing in” the underlying message, or the shot selection, or picking the locations, all to exemplify the commentary? How much of it do you leave up to the audience to interpret on their own? I don’t think I intentionally sat down to write the “ewe”/”you” confusion moment. It’s something that bubbled up while I was sitting in front of the screen one day, and it resonated so much that it made it all the way into the final cut. I read this thing about writing recently that I adore from Alexander Chee—he says, “The first draft is scaffolding, torn down to discover what grew underneath it.” I think of writing like tending to a garden: you plant seeds in a plot of dirt and nurture them with consistent presence, then lo and behold, something grows. I remember on the first day of 9th grade, my English teacher gave the class our end-of-year essay prompt, but instructed us not to begin working on it, which gravely annoyed me. She insisted that by lofting out a theme to us months in advance, it would have time to swim around and marinate in our subconscious. In the months that followed, I found myself thinking about the essay prompt at random, sometimes even in my sleep. By year’s end, I realized she was right, and I had a very rich experience of the prompt to expand upon in my essay. I think that in the process of filmmaking, regardless of what stage you’re in, writing or scouting or shot list-ing, the daily decisions you make are influenced by multiple levels of conscious and unconscious thinking. Throughout the making of this film, I was thinking obsessively about this exhausted woman who feels powerless and impotent in this work she’s carved out for herself on a ranch, and about why she comes to identify so much with this dead sheep. It was a happy accident when I realized that her circumstances could lend themselves to her confusing the homonym of “ewe” for “you,” but it was an accident planted by the many hours of unconscious labor turning this story, over and over again, in my head. As to what the audience make of the themes, I ultimately leave it all up to their interpretation. I don’t mean to enforce any kind of dictum on what I’m trying to say and I love hearing nothing more than what a viewer thinks happens next. That’s the most exciting conversation for me to have with someone who’s watched this film, to hear how they put the pieces together. Which morsels tasted good and resonated with them. You also played one of the leads in Eureka! It’s a huge challenge, right? To act, write, direct, and produce? Or do you find it a little easier to control the execution when you yourself are a part of a scene? It’s an enormous challenge to act while directing, not to mention also producing and writing the material. So much of directing is taking care of all the players on set who are hard at work to realize your vision to life. Acting requires its own unique blend of focus and presence, which fluctuates in temperature at different points in the process based on the material. Doing both at the same time, at least thus far for me, has meant slightly compromising the one or the other. I remember on Eureka!, we were on my close-up during the climactic scene, which was the martini shot at the end of what was like a 15-hour day—it was 4 in the morning in the middle of the desert, and I could sense the exhausted energy weighing down the crew. And because of the difficulty, I couldn’t handle either role to my fullest potential. Because of the difficulty to perform and watch my performance, I wasn’t able to move quickly enough and also slowly enough to give myself the space for the performance. It was a real juggle to wear both hats. Ultimately, what I love about filmmaking is that it’s a collaborative effort, and so I don’t intend to wedge myself into every role or write exclusively for myself, because I don’t only want to work with my myself. But directing yourself is a skill I admire greatly and hope to keep working on. I always think about Warren Beatty and Reds. He wore so many hats on that film—writing, directing, producing, and starring in—and he wore them all so well. He won an Oscar for Best Director and it’s a tremendous film. NYU’s Tisch, as everyone on the planet knows, has churned out some incredible talent. What made you choose NYU over other universities? What were your key takeaways during film school? A lot of emerging filmmakers eschew the idea of a formal education, especially now, given the accessibility of equipment, talent, crew, and everything in-between. Even the cost of filming is lower (er, relatively speaking). But do you think a structured setting, whether it’s a traditional university like NYU or an AFI, gives the early-stage writer/director a leg up? The truth is, NYU was the only school I applied to. I had it in my subconscious future plan for years and was lucky enough to be awarded a scholarship that made it possible for me to attend. Plus my parents were adamant I go to university, and it was an easy choice considering it was my only choice. I believed that the cultural education I would get living in New York, which seemed to me the artistic capital of the world, would be tantamount to the education I was paying for at college. And it was. The movie-going experience in New York City is unmatched—the breadth of films you could catch all over the city is what I miss most about living there. I was in the theater department at Tisch, so I can’t speak exactly to the film school experience, but I don’t think it’s a black or white answer. Do I think there are benefits to formal training? Absolutely. I had the time of my life in theater school. I learned discipline and collaboration and consumed a wide-range of styles of storytelling. In presenting my work routinely to my peers for critique, and in turn even more time watching others’ work, I developed a rubric for how to practice and be an artist. If I had the means to go to film school, too, I would do so in a heartbeat, because I would love the opportunity to experiment within a system designed to support my growth as an artist. Making work outside of art school feels like you’re thrust into the commercial marketplace with an entirely different value system and that’s really daunting. But do I think a formal education is the only path to a career in writing/directing? No, not at all. Some people don’t learn well in a formal environment. For many people, including myself, the best learning happens in practice. I think that, to a degree, you can design your own film school by studying cinema history, watching a load of films and ideally discussing them with someone. I used to practically live at Kim’s Video when I was in New York, which organized their entire collection by place of origin then by director, and my film education was just watching my way through people’s filmographies. You can also read a ton of scripts, especially after you’ve watched a film, and study the similarities and differences. That’s something I still do often. The hardest thing to come across outside of the formal schooling system is industry mentorship, which I think is a vital aspect to growing a career as a writer/director in this business. That and finding a free and dedicated crew ready to work on all of your projects. I think that being a part of a community of people who are invested in your growth as an artist gives you a real leg up in this industry, and film school gives you that. Getting noticed is something everyone struggles with no matter where they are in their career. Besides the easy answer, “produce good stuff,” how else can someone make their mark? We talk a lot about writers and directors displaying their brand on whatever they do. But how does one carve out an identity? Does it really happen naturally through the process of education and experimentation, or are there shortcuts, of sorts? Well, aside from egregious nepotism, I don’t think there are any shortcuts. No one can teach you how to find your artistic voice. You navigate your way to your artistic voice by being bold and curious. I don’t exactly believe in the Gladwellian “10,000 hours” trope, because I think a lot of people out there take it very literally, and some people spend their hours different than others. I do think, though, that practice and discipline are key. You show up every day. If you want to write, then you write something, anything, every day—even if it’s just your thoughts put into words in a journal. You have to watch movies. We’re no longer confined by our locations in terms of being able to access quality films, so there’s so much opportunity to study up on all kinds of films—not just any said canon of “greats” or “Oscar winners,” but movies that you stumble upon with unfamiliar names and intriguing posters. And in between all that study, you seek out and build community, you experiment by making films, and you keep whittling down your storytelling technique, slowly but surely finding a marriage between what you like to make and what resonates with your audience. Marina Michelson is a writer/director focused on female-driven films that defy expectations of what female films should be—beautifully dirty, visceral stories that capture truth and inspire radical thought. 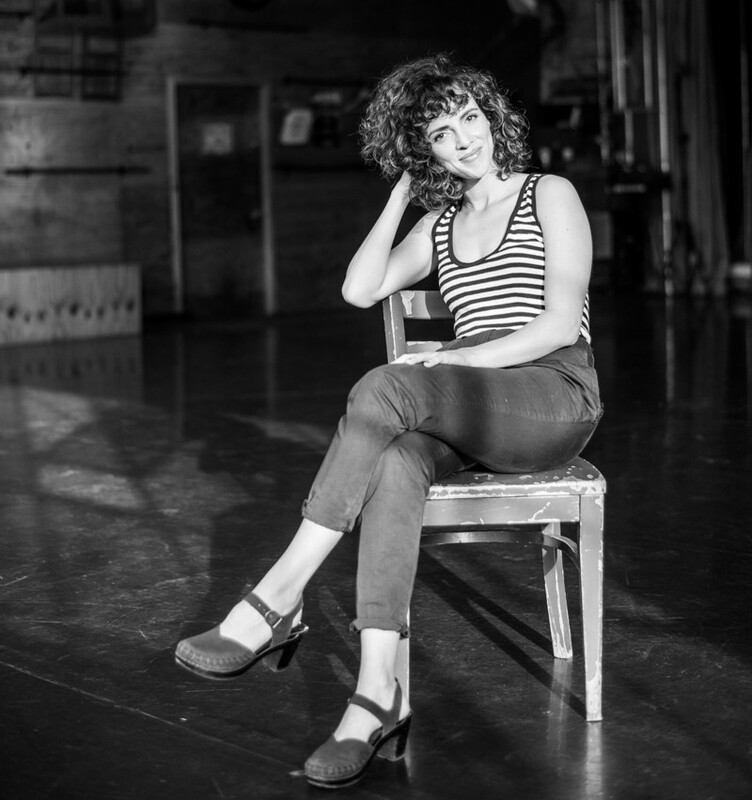 Her extensive acting training, including study with the Atlantic Theater Company, Steppenwolf Company West, Lee Strasberg Studio, and a BFA from NYU’s Tisch School, makes her adept at holding space for actors through meditative moments that allow for rich, grounded performances. Her favorite credits as an actor include the lead in Should’ve Kissed, which opened the Jeonju International Film Festival, and the lead in Amy Herzog’s play After The Revolution, praised by the LA Times as “full of grace and grit.” Acting is an ongoing practice in empathy that fuels her to tell stories that expand people’s capacity for compassion. Her films share a strong visual style and flair for textured, immersive worlds. Her directorial debut, the short film Eureka!, is distributed through Amazon Video. Additional directing credits include the short face time and web-series The Postcard Project. Her short Biophilia, premiered at the 2018 Brooklyn Film Festival where it garnered the award for Best Screenplay. She is a 2019 artist-in-residence at the Helen Wurlitzer Foundation in New Mexico.